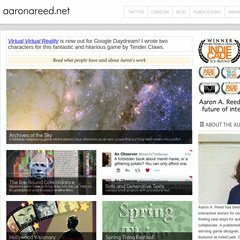 Topics: Lacuna, Fiction, Publications, Interactive Fiction, Photography, and Interviews. It has 2 DNS records, ns54.hostgator.com, and ns53.hostgator.com. Theplanet.com Internet Services Inc (Texas, Houston) is the location of the Apache server. Its local IP address is 184.173.196.232. PING (184.173.196.232) 56(84) bytes of data. A time of 34.8 ms, is recorded in a ping test.